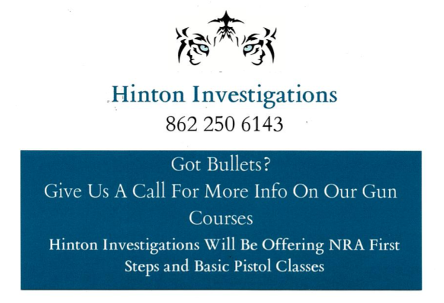 Protect your property with security guards from Hinton Investigations Inc. We provide armed or unarmed security for residential and commercial buildings. private detective. We do everything from background checks to fugitive recovery. 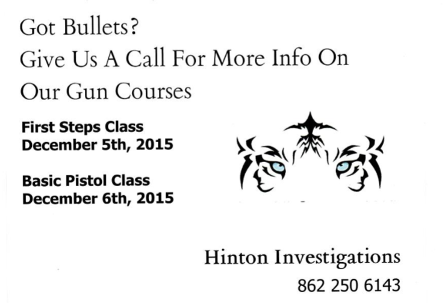 with state-of-the-art training from The Hinton Investigations Training Institute. Learn About Hinton Investigations Inc.
For complete security and detective services, contact Hinton Investigations Inc. in East Orange, New Jersey. We are a trusted security firm with more than 30 years of experience in the industry and a reputation for excellence. We have never had a major incident in an area where our staff have worked, and a lot of our business comes via referrals from satisfied clients. We accept cash and all major credit cards, except Discover™. Hinton Investigations Inc. is recognized by the state of New Jersey as a minority-owned, small business. We are fully licensed, bonded, and insured. Contact us for security you can count on.